The process of cleaning up, sorting out, and making decisions about recycling often results in pleasurable surprises. This was my experience when I discovered an old paperback copy of Alan Marshall's Battlers, published in 1983, the year before Marshall's death. Marshall himself was the consummate battler of Australian lore. Born in 1902 in the dairy farming area of Western Victoria, in a tiny township called Noorat, Marshall was early acquainted with particularly harsh adversity: when he was six, an attack of poliomyelitis left him unable to walk without the aid of crutches. But his parents encouraged him to attempt all the usual activities of a bush childhood: he learned to ride, fight, climb, and to swim. Much later, he published the wildly popular I Can Jump Puddles, which I recall as being entirely free from self-pity. The book became a TV series, is still in print, and is the first volume in an autobiographical trilogy; Marshall published at least 25 books, did all he could to help the disabled, and was a tireless supporter of workers and so-called 'ordinary' people. Battlers is a collection of short stories and extracts from speeches and lectures written mainly in the late 1930s and 1940s. The pieces are predictably products of their time, and show little evidence of today's standards with regard to language and attitudes towards Indigenous peoples and ethnic groups. But many stories expose injustice, while others show the value that often lies in small moments. The story The Three Wise Men was published in the Herald newspaper on Christmas Eve, 1943. 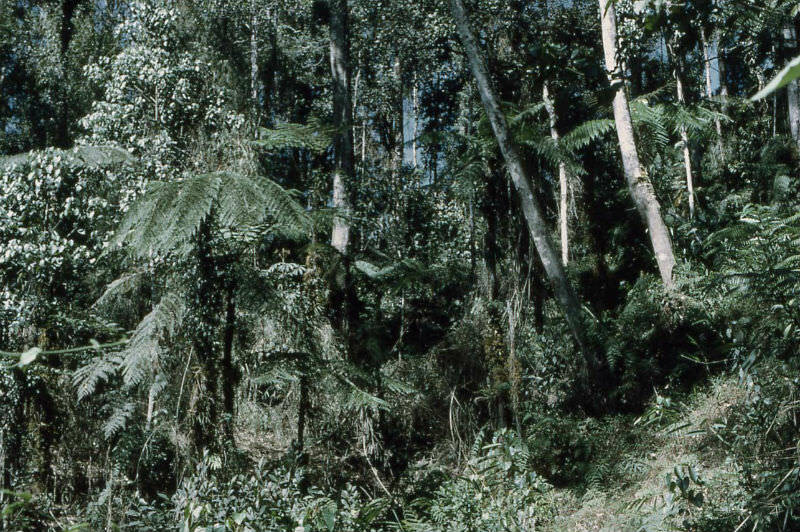 It is set in the jungle of New Guinea, and is about three Australian soldiers called Jack, Bill, and Fred, their very names suggesting 'average' foot soldiers. Australian soldiers were active in Papua New Guinea from 1942 to 1945. 1942 was the critical year, the period of the Kokoda Trail, but fighting went on for much longer in a campaign that some military historians consider the most arduous fought by Allied troops during World War Two. It is Christmas Eve, and Jack, Bill and Fred are lost 'in the middle of New Guinea in jungle as thick as the hairs on a dog.' They are also in want of a good feed and, as hungry people will, think continually of food, particularly that to be served in camp the next day: turkey and ham. Bill, who has a compass, says they can get to a village where the tucker will consist of yams, taro and sago: the indigenous people early developed a reputation for helping Allied soldiers. The trio walks all night, eventually giving up on Bill's compass and navigating instead by a star. The atmosphere is one of 'the dank smell of decay, of rotting green, of dampness mouldering beneath fungus growths of scarlet'. A hard and nerve-racking journey they have of it, for they know enemy soldiers are not far away, but they reach the village at dawn. "Many of Marshall's stories expose injustice, while others show the value that often lies in small moments." The story as it develops is a little obvious and heavy-handed, but it tugs at my heart strings nevertheless. A woman in the village has just had a baby, born during the night. The young father gives the hungry men coal-baked sweet potato, and they watch the honey-coloured baby: early sunlight strikes his fuzz of hair, making it resemble a crown. This remark is followed by some jocularity to the effect that they are three wise men for having extricated themselves from the jungle. They finish eating and, wanting to thank the family, leave presents for the baby: a pocket knife, a two shilling piece and a tin of tobacco. I'll try to make sure baked sweet potato is on the menu this Christmas. The story reminds me more than a little of T S Eliot's "Journey of the Magi". But definitely with a laconic Aussie twist. Newspapers could redeem themselves somewhat by re-publishing gems like this on Christmas Eve. And other times too. Thank you, Gillian, for this beautiful weaving of so many threads that tell of the goodness of people in challenging circumstances. It was very early in my teaching career - In Hay or Deniliquin that I read the book: I Can Jump Puddles - with one of my junior high classes. I remember that matter-factness with which he faced his disability - undaunted by the limitations - and finding his way well-beyond the point such that there were in fact no limitations. He was totally un mesmerized by himself - his life was one of opening up avenues of growth for others. The story you relate reminds us that in our daily lives we can either live good lives ourselves - or at least recognise those features in others around us - they require no haloes or trumpets or hosts of heavenly beings to announce the fact - as with this Season - materialism need not be the driving force in the sense of gift-giving. Our neighbour is a single mother - beautiful child - this Christmas she has already wrapped the gifts for her daughter - including some of her already beloved toys. The child doesn't need new ones. We are so impressed! There are many strands in this article that were interesting and apposite: there is a wonderfully uplifting film Breathe which is on release now about a couple (Robin and Diane Cavendish) who refuse to give up in the face of a diagnosis of polio. It was also without self pity. Although as you say they were of their time, in Marshall’s stories and your article , we are reminded of the good in people which hopefully hasn’t changed in spite of different prejudices and attitudes.